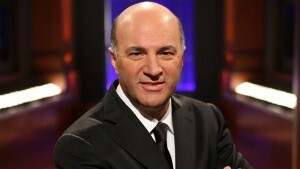 Canadian politics, and the Conservative party in particular, needs more Kevin O’Leary. And I’m not even joking. O’Leary should run. His candidacy would do timorous, hidebound Ottawa a world of good. The former Dragon’s Den star’s revelation to the CBC that he’s mulling an outsider bid for the Tory crown hit Canada’s chattering classes like a thunderbolt early Thursday. Reaction ranged from amused condescension, to shock, to – predictably – outraged comparisons to the incendiary billionaire, disruptor, buffoon and Republican Presidential candidate Donald Trump. One reason for these comparisons: O’Leary has made them himself. He is nothing if not skilled at placing himself at the epicentre of attention, then chortling gleefully as others orient themselves around his dark polarity. It’s a freakish knack he has. It’s also a talent notably absent from the current Canadian political scene – except in the person of one Justin Trudeau, Prime Minister of Canada, who sits at precisely the opposite end of the ideological teeter-totter from O’Leary. The two of them, sharing a debating stage, or glaring at one another across the aisle in the House of Commons, would be a perfect matched set – matter and anti-matter, ivory chess pieces vs. obsidian. It would be a political cage match for the ages. It would make, let’s be honest, terrific TV. Is O’Leary actually Trump in a beaver-pelt hat? In some ways yes – in others, no. 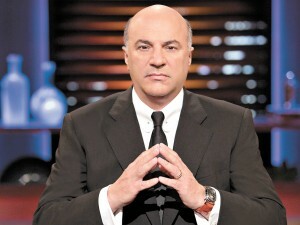 Like the U.S. real-estate mogul, O’Leary’s fame is partly founded on his past success as an entrepreneur. Like Trump, he is a skilled communicator who prides himself on “telling it like it is.” Like Trump, O’Leary is an avowed, unapologetic evangelist for capitalism, red in tooth and claw. Those who dismiss O’Leary as a mere pontificating blowhard are underestimating him. I worked alongside him briefly in 2003, as he was making his start in Canadian business television at what was then ROB-TV, now BNN. His specialty at the time was picking over-valued stocks. The format, typically, would be a debate in which one analyst cited the pro, the other the con, on a given stock. O’Leary’s analyses of balance sheets and corporate shenanigans were cutting, funny and correct more often than not, if memory serves. Even those who loathe his public persona will concede he has screen presence and charisma to spare. Some would say, of course, that O’Leary’s religion is money; that he appeals to the worst aspect of human nature, greed, and that this in itself disqualifies him from participating in Canadian political life. He would likely chuckle at such a characterization, then reiterate a version of his long-standing mantra: Money is stored human energy, and the best objective measure of true value. How can anyone be against it? It’s the kind of thinking that enrages left-leaning viewers of O’Leary’s shows, which include the current Shark Tank on ABC, but delights ideological conservatives. Presumably, not all his 466,000 Twitter followers believe he’s a monster. Indeed, if you listen on occasion to O’Leary’s turns on the radio, you may observe he speaks at times like a character out of a novel by the libertarian author Ayn Rand. He is, in his own way, an idealist. As such he could be expected to offer a trenchant counterpoint in a political pantheon now entirely dominated by centre-left orthodoxy, whether in Ontario, Alberta or federally. To restate: If O’Leary is the pure economic libertarian he seems, and not a culture warrior, then he’s actually no Trump, regardless of what he, O’Leary, may claim. This would be critical to his political success in Canada. The Tories’ straying into identity politics last fall was an important factor in their loss, as they themselves know. The party needs a pulpit-pounder on economics, smart enough to skewer the government’s mistakes in memorable fashion across all media platforms, while sticking to his or her knitting. Does O’Leary have a shot against party stalwarts such as former cabinet ministers Peter MacKay, Tony Clement, Kellie Leitch, Jason Kenney, Lisa Raitt or Saskatchewan Premier Brad Wall? I would argue he has. He was born in Montreal, went to high school in Ottawa, and has an MBA from the University of Western Ontario. He is reputedly bilingual. Even if his French is of the Anglo-Montrealer variety, it would give him a leg up on aspirants such as Wall, who is unilingual. In short: Should he run, The Dragon will make a formidable candidate. Liberals who dismiss him risk getting burned.